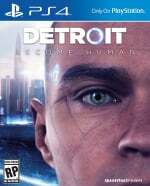 Detroit: Become Human got a generally strong reception from critics, but the feedback from fans has been overwhelmingly positive thus far. And it sounds like Quantic Dream’s sci-fi opus has been a hit commercially as well, as bigwig Guillaume de Fondaumière has tweeted that the title is the French studio's “most successful release so far […] by all accounts”. Exactly what metric the executive is using is unclear, but the game topped the UK sales charts – despite failing to outperform Heavy Rain’s launch total. Of course, a lot has changed since 2010 – it wasn’t even possible to purchase Heavy Rain digitally until its PlayStation 4 re-release a few years ago. While we did have a few issues with Detroit: Become Human’s narrative, we liked the experience a lot overall, and we’re confident calling it Quantic Dream’s best game now that the dust has settled. Are you happy to see that the title’s been successful? Are you hoping Sony continues its partnership with the studio? Let us know in the comments section below. It is a great game. I finished it last night but somehow managed to get all the bad endings. Human error. I've heard it's far and away Quantic's best. If it really is that good, I may seriously play it. @DerMeister it is QD's most in depth game (in respect to player choices and how intricately they affect both the narrative and endings). Technically, it is staggeringly beautiful. Actors' performances are superb. The game is worth every single cent of its full price. I prefer their "Beyond" story to this one but "Detroit" is a more accessible story than "Beyond". @Neolit I have to agree, Beyond had a fantastic story in my opinion, but it's fragmented approach was akin to Pulp fiction, and if memory serves me, there were quite a few people who didn't understand it at first. Detroit is accessible and so a better game for the masses. this game is great ever i playing : 9.5/10.. i got platinum trophy in this game. why not making DLC story for this game ? @Captain_crash199 by police or Todd ? From the initial reaction from the media in the first reveal which was hilariously pathetic to the positive feedback after some had played it, whatever. The quantic dream games are all good games and no surprise this is either. Pre ordered my copy. Waiting for the postman. I played the game and there was more to it than I expected but my OCD would kill me trying to fill in all the blanks. So my first and only play-thru of the demo will have to suffice. And there would be an image of it right here if I had sent it to twitter like I had planned. I tend to do that a lot w/ both my PS4 and Switch screenshots. I always mean to post them to twitter but I always forget. Awesome. It's definitely Quantic Dream's best, and I say that as someone who overall really liked Fahrenheit, Heavy Rain and Beyond despite their flaws. Also shout out Bryan Dechart (Connor's actor), who's doing a really great job keeping the game's marketing going on Twitch and Instagram. He's doing a live stream of him (and his fiance, who's also in the game) playing Detroit every Sunday for the next few weeks. He seems like a really nice guy and it's great to see him really embrace his role in the game and genuinely enjoy his work and seemingly just life in general, at least with how he conducts himself during the streams. twitch.tv/BryanDechart for anyone that's interested. @Kai_ Connor was my favourite. I was surprised by the results of the poll you take after finishing the game in which Markus was clearly ahead as people's favourite character. I think I liked Connor the best as well, but I enjoyed all three protagonists really. The partnership must continue, Quantic Dream games are really great. As a fan of Quantic Dreams' previous work, I'd always planned on buying Detroit, but I never expected it to become of my favorite games this generation but it really surprised me. I don't think it's one of the 'best' games out there, but it's certainly amongst my favorites now. Good to see it's selling well also. @get2sammyb I’m enjoying the game so much that I want France to win the Worls Cup! 🇫🇷! @ApostateMage @Kai_ CyberLife is tampering with the results. 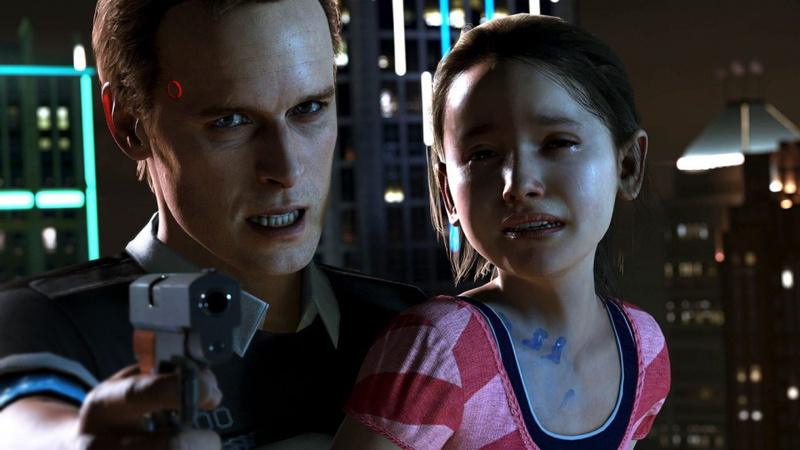 Congratulations for Quantic Dream for the release of detroit, its sure is a wonderful game, never get enough of it. A top notch for the direction, story, gameplay, cinematography and for both graphically and technically it was a grand game!! I love Fahrenheit, heavy rain, beyond and now detroit, i hope sony continues support this kind of game and quantic dream.. it is one of the strength of the various PlayStation library of exclusive games. I gave Chloe permission to be free and she really has gone from my home screen. I'm gonna miss those beautiful eyes and that plastic pout. That's great news! I absolutely loved this game, and I'm glad it is doing so well. @ApostateMage I was so hooked on the game I had only seen her thrice. Once when I started the game, another when the game crashed and I had to restart it (she made me take a survey), and last when she asked to be free. David Cage absolutely smashing it out of the park yet again. Loving this. @get2sammyb I wonder if the outcome of your first playthrough influenced your review score! I just finished the game and thought it was as good as Heavy Rain! @AFCC A little bit, but I played through it twice before writing the review. For me it's one of those 7/10s that I had a few issues with but still like more than most games we give 8 or 9. Happens to me a lot to be honest. I can see why this game is performing so well. Looking forward to playing next year after my backlog has been reduced alot. @AFCC You'll definitely get different outcomes on your second run. (As long as you make different decisions, of course.) The game has an INSANE number of permutations. @ApostateMage right same here. I mean don’t get me wrong I liked all the characters a lot but Connor was easily my favorite so when I got to the end and voted for him it blew my mind that Markus overwhelmingly won. Game is Goddamn brilliant. I wish they made a Death Note game like this with similar production value and visual presentation. Very pleased for them. Haven't picked it up yet but intend to do so fairly soon! Nice to see it doing well. First good Quantic Dream game, imo. The studio has had good ideas from time to time but I always felt the execution was poor. In this one, the QTEs and certain button combinations seem less annoying than previous games and there's a lot of content. The story and writing is also much better. I'd say the main story isn't perfect but it's told better than Heavy Rain or Beyond: Two Souls. The individualized stories of the main characters (I like all 3 equally) are very well done.